Reality is simply what it is. It is simply there. It lies beyond the intentions of human beings – whether for good or otherwise. After the Tohoku Earthquake, what can a single, devastated person do in the face of a mountain of rubble except join their hands in prayer? To their mother, or to their children, or to someone far away. This thing that we call prayer is what binds all of us of the human world together. Using just pencils (10H to 10B), Susumu Kinoshita has constructed a monochrome world of loneliness. 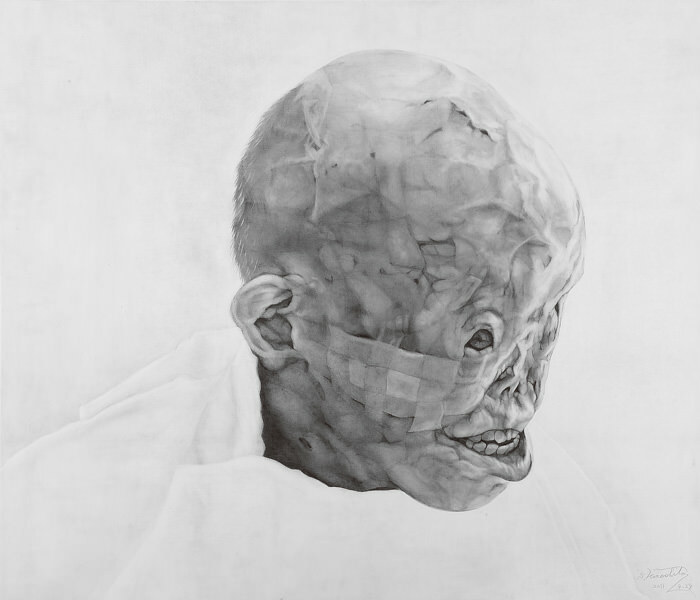 While at once stunningly realistic, these drawings of former leprosy patients, of human beings tossed so violently through reality (including poet Tetsuo Sakurai), also push the viewer to consider the question of what lies beyond. Without even joining hands, these stunning drawings of light and darkness are a prayer themselves.